Silent footage of US solders gathered around grounded helicopters in a field. 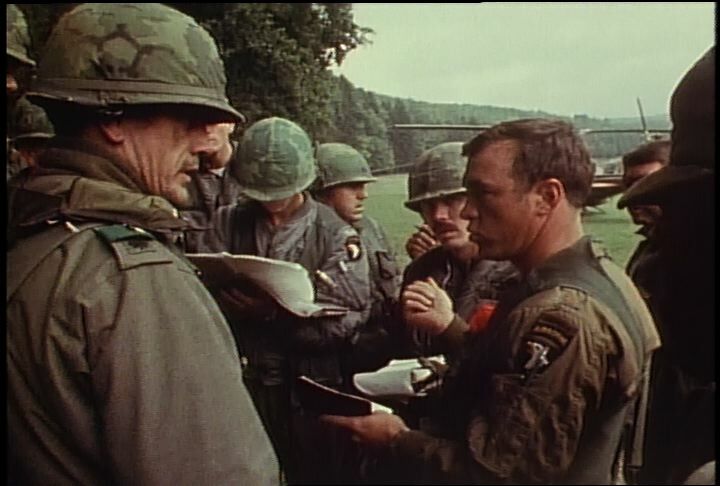 Features footage of Major-general Kenneth Wickham. Chicago: “War and Peace in the Nuclear Age; Zero Hour; Reforger "76" (101st Airborne Division),” 07/01/1976, WGBH Media Library & Archives, accessed April 25, 2019, http://openvault.wgbh.org/catalog/V_51429369364A408399EE8844F005B100. MLA: “War and Peace in the Nuclear Age; Zero Hour; Reforger "76" (101st Airborne Division).” 07/01/1976. WGBH Media Library & Archives. Web. April 25, 2019. <http://openvault.wgbh.org/catalog/V_51429369364A408399EE8844F005B100>.